Complete coverage with a lightweight feel and all-day wear. 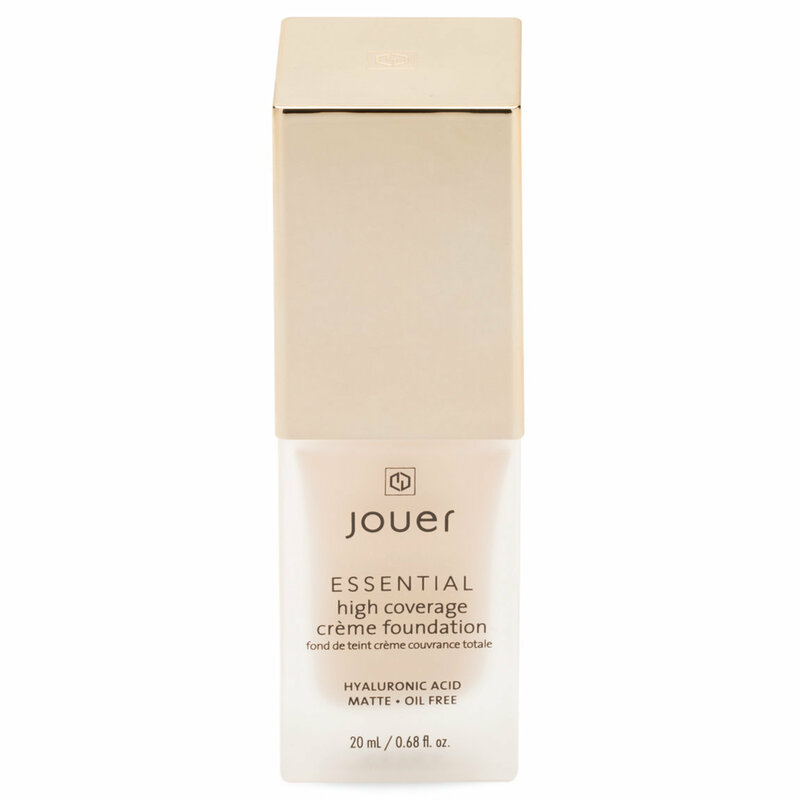 Essential High Coverage Crème Foundation—the debut foundation from Jouer Cosmetics—buffs into the skin like silk, leaving behind an airbrushed finish. Hyaluronic acid and botanical extracts maintain a healthy moisture balance while the natural-matte formula keeps unwanted shine at bay. Apply a small amount (the formula is concentrated, so you don't need a lot) and buff into the skin with the Jouer Cosmetics Essential Precision Foundation Brush. I like the incredible coverage with very thin fluid texture. Doesn't show fine lines after 6 hours of wear. But I can't use their brush with this as the foundation gathers up in tiny balls, it's probably becoz I have dry skin as well. I am a NC25 Asian, Colour selection wise "Sand" seems to be the correct match but it's looking way too fair on me. More like 1-2 shades lighter. I had to use a darker face powder to make it look less fair. The next shades almond, latte seems very much darker. I m confused to what shade to get to match my face better. This foundation spreads easily and covers amazingly!! Remained flawless all day! I chose ‘fawn’ which is listed as a medium shade. It was lighter than expected - definitely more of a light than a medium I’d say. I’m only giving 4 stars instead of 5 because it settled a bit into the fine lines. A primer might have solved this problem however. Perfect foundation for a flawless finish! This coverage of this foundation has out-done my Estée Lauder Double Wear and I need only literally a quarter pump to cover my whole face! Never mind the 20ml bottle since you only need so little per use. It is matte but still looks natural on the skin. I’m NC20 in MAC and 1W2 Sand in EL. The Beautylish beauty advisor recommended Fawn in Jouer and the color match is perfect for me. I purchase these foundations in Alabaster and Shell, using the darker shade to contour and the lighter shade to highlight. A little bit really does go a long way and the foundation is very runny, give it a good shake before you use it. Comes in a pump bottle and I would suggest starting with half a pump. It built up in my pores and left my skin looking dry and flaky around the T-Zone, I have very dry skin. Makes your skin feel very moisturised but does nothing to cover the pores. It does oxidise after a while and I was pleased I purchased the lightest shade to mix in with the Shell shade so it matched my skin better. I also purchase the primer but that did nothing more but act like a little extra moisturiser but did not cover my pores. It is very expensive for 20ml but should last a long time because you need such little product, just don't expect full coverage. The best way to apply is with clean fingers and then stipple in with a clean brush. I love Jouer products but I don't think I will repurchase the foundations or primer. Too yellow for the description given, this is not for pink undertones. A little bit DOES go a very long way so I would start with half a pump and then stipple it in. I found it worked best using my fingers and then stippling with a brush. If you use too much it really clogs the pores and you can see it all over. It is very runny but goes on like silk and leaves your skin feeling moisturised. I didn't find it to be as high coverage as claimed and had to apply a second coat which still didn't cover the two acne spots I had that day. Even though this is supposed to be a Matte finish, I did find I needed to use a little powder to set. It does oxidise after a little while and I found the shade too dark for my fair skin. I ended up mixing it with the lightest shade available which made a huge difference but still did not give me full coverage. Also for those with sensitive skin, I found this formula to sting my eyes. Does not work well with the Jouier primer, that is more like a moisturiser and it doesn't cover your pores, best off using your tried and true primer. This foundation really is extremely high coverage, but it doesn't feel thick at all. It seriously feels like nothing is on your face. I originally ordered the shade "shell" but it ended up being a bit too dark. I have a light skin tone with cool, pink undertones, but the shade shell turns a little orange on me. It did get a little lighter with setting powder, but next time I will repurchase a fairer shade. My only complaint with this foundation is that it is a little drying and I have oily/combo skin, so I wouldn't go for it if you have dry skin. I love how it doesn't get oily throughout the day and stays completely matte. Honestly, if you have combo to dry skin this would probably work for you without a setting powder because it does dry down completely. Also, make sure you blend fast because once it dries down it's hard to work with. All in all this foundation is worth the money and makes me skin look really flawless! I wanted to love this foundation , but no matter how I applied, no matter what primer I used, the foundation would just sit on top of my skin and look a mess. Super dissapointed, jouer has never let me down until now :(. 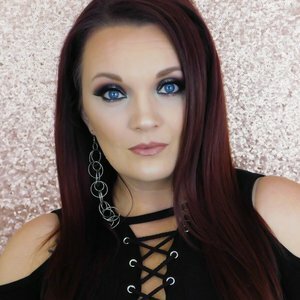 The coverage is spectacular with minimal product but it just did nothing for me.